The new national security advisor is no hawkish iconoclast, and the real risk of his tenure is a war no one sees coming. The appointment of Ambassador John Bolton as the new national security advisor to President Trump caused significant concerns in foreign policy circles about what such a hardliner would mean for delicate negotiations with countries like Iran and North Korea and how our diplomatic relations would fare under the influence of a unilateralist who disdains international organizations. Given Trump's lack of experience in foreign policy, no one yet knows exactly what influence the notably hawkish advisor will have on a president who once promised his supporters that he would rein in American interventions abroad. 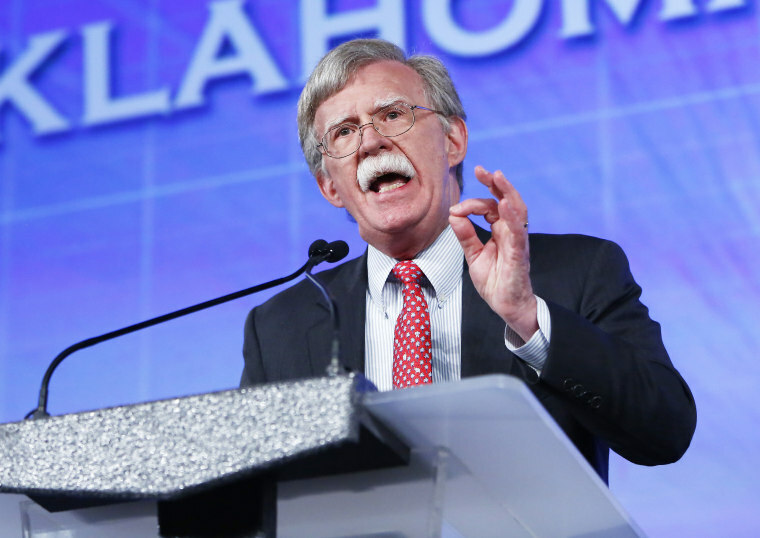 Yet of all of Bolton’s well-known opinions, the one that carries the largest risk for the United States is the one that is least controversial in Washington: Support for the continued enlargement of the North Atlantic Treaty Organization (NATO). On this issue, Bolton fits comfortably within the bipartisan mainstream consensus of the last 25 years. There are few political leaders in the past decades who actively opposed NATO enlargement; even last year’s stand by Sens. Rand Paul, R-Ky., and Mike Lee, R-Utah, against Montenegro’s membership was more of a statement on their annoyance at the Senate’s ritualistic rubber stamping than a policy fight. American leaders need to be more realistic about the effects of NATO enlargement. When it comes to the issue of NATO enlargement, politicians in the modern era often simply appeal to American’s belief in freedom and representative democracy. Bolton, hardly known for his doveishness, has himself pleading the case of the downtrodden who only desire Western ideals and protection. But American leaders need to be more realistic about the effects of NATO enlargement. The eastward push of the NATO alliance has never sat well with Russia: In the 1990s, the fledgling and ineffective post-communist government in Moscow was unable to do more than protest NATO enlargement to areas that had been in the Soviet “sphere of influence.” But after Vladimir Putin consolidated and strengthened the Russian government, he undertook military modernization initiatives just as NATO started extending membership to countries with deeper historical and cultural ties to Russia, including nations on the Russian border like Ukraine and Georgia. The inevitable friction boiled over in 2008, when Russia invaded a western-friendly Georgia in an attempt to force a settlement over the separatist Georgian region of South Ossetia that suited Russian regional concerns. Russia correctly determined that there are limits to Washington’s idealism in foreign policy. Any lingering doubt that Moscow would continue taking military action to defend what they deemed their national interests should have been dispelled six years later, when the Russian government began lending military support to pro-Russian factions in eastern Ukraine. Clearly, the Russian government deemed Ukraine’s potential realignment with the West a significant enough threat that drastic and provocative intervention was deemed warranted, including the full annexation of the Crimean Peninsula — an unprecedented military action in post-Cold War Europe. Russia correctly determined that there are limits to Washington’s idealism in foreign policy; despite our rhetoric about democracy and freedom, Ukraine means more to Russia than it does to the West. And the U.S. wisely did not challenge Russia in a proxy war that we were not willing to actively fight. American misgivings about the morality of Russian activities abroad and way that they define their national interests are overall not relevant to actual outcomes; there are simply certain boundaries that Russia won’t abide the West crossing without a response and, in those areas, the issue usually means more to them than it does to us. Yet for most in the Washington foreign policy circles, the acceptable response to the Russian military presence in either Georgia or Ukraine was to double-down on calls to guarantee these countries’ security, without any regard for our own security and national interests. There are simply certain boundaries that Russia won’t abide the West crossing without a response and, in those areas, the issue usually means more to them than it does to us. For instance, despite the fact the U.S. had no defense agreements with Georgia and no strategic economic interests there, Bolton castigated the Bush administration (in which he had previously served) as “paper tigers” for America’s failure to intervene in 2008. And then, in the aftermath of the Russian annexation of Crimea in 2014, Bolton repeated the call for Ukraine to join NATO and put pressure on Russia to retreat. If the United States chooses to follow the counsel of Bolton and others in the idealism-driven foreign policy establishment on NATO enlargement, we will be playing a risky game with an opponent who has stronger incentives to win on the issue — a worrying circumstance in which to find ourselves. There may well be other dangers in the appointment of the president’s new national security advisor, but it certainly perilous to have an entire ruling class in unquestioning support of his most reckless policies. Robert Moore is a policy advisor for Defense Priorities. He has spent nearly a decade working defense and foreign policy issues on Capitol Hill. He most recently served as the lead staffer for Sen. Mike Lee, R-Utah, on the Senate Armed Services Committee and previously worked for Sen. Jim DeMint, R-S.C., and Rep. Sue Myrick, R-N.C.